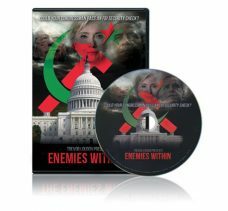 Please contact [email protected] for pricing & shipping for orders over 100 DVDs. 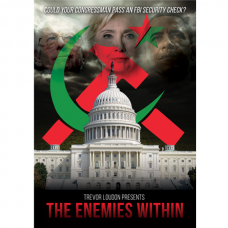 “The Enemies Within” is designed to show American voters exactly how modern communism works and how it impacts on your life, every single day. 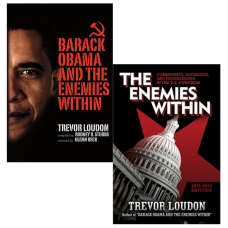 Just how do the communists win big on things like Obamacare and immigration “reform,” which go completely against the wishes of the American people? 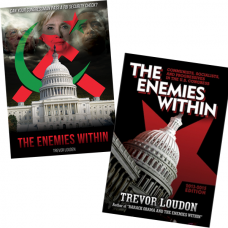 Trevor Loudon’s research has been cited by Glenn Beck, Rush Limbaugh, countless articles, blog posts and in books by well known authors Paul Kengor, Aaron Klein and Jerome Corsi. 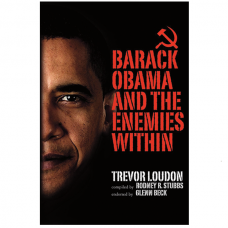 He has given countless radio interviews and addressed audiences in more than 30 states in his four tours of the United States. 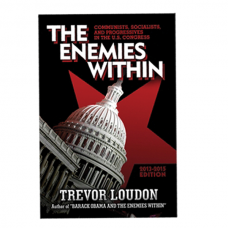 Trevor Loudon speaks on internal subversion, communism and socialism, national security, culture and constitutional conservatism.